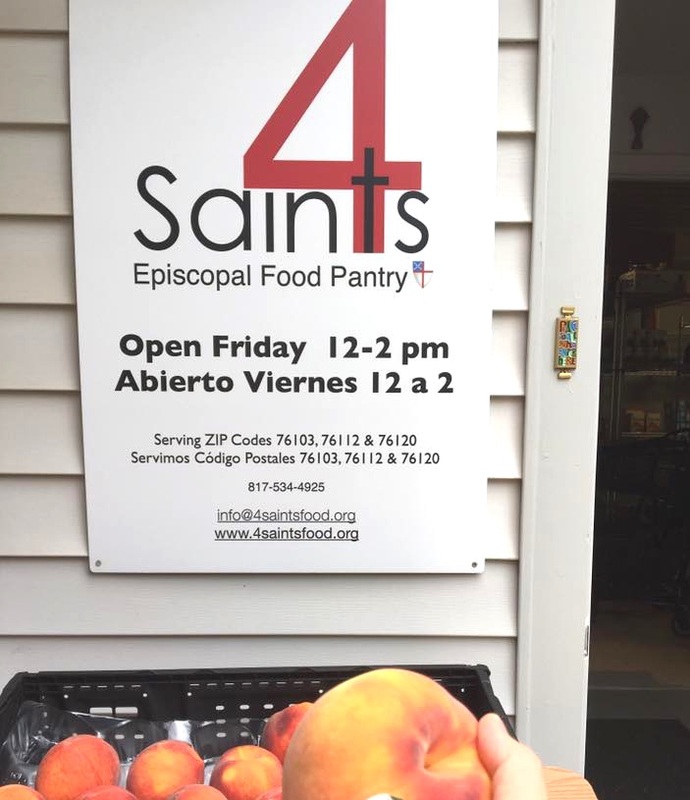 Saints Episcopal Food Pantry is open from 12-2 pm each Friday. Clients may receive food one time per month. We serve Zip Codes 76103, 76112 and 76120. To prove residency in those zip codes please bring a current lease agreement or utility bill.